Frank Curzio is the editor of Small Stock Specialist, an investment advisory that focuses on stocks trading for under $10. He is also the editor of our exclusive Phase 1 Investor advisory. Before joining Stansberry Research, Frank wrote a stocks-under-$10 newsletter for TheStreet.com. He's been a guest on various media outlets including Fox Business News, CNBC's The Kudlow Report, and CNBC's The Call. He has also been mentioned numerous times on Jim Cramer's Mad Money, is a featured guest on CNN Radio, and has been quoted in financial magazines and websites. 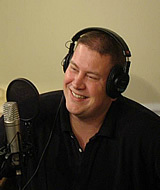 Frank's "S&A Investor Radio" is one of the most widely followed financial broadcast in the country. Over the past 15 years, Frank's investment strategies – including value, growth, top-down, and technical analysis – have regularly produced 200%, 300%, and 500% winners for his subscribers.